When I first saw "Vampire Knits: Projects to Keep You Knitting from Twilight to Dawn" at Michael's craft store this week, I scoffed. Ridiculous! Twilight inspired kitting patterns! The audacity! I'm a horrible knitter but I happen to have a friend that's excellent at it. Her work has been featured in magazines and she can knit in the dark (she does it while watching movies at the theater; it's both awe-inspiring and unnerving.) Point being, I have a totally unearned haughty attitude when it comes to knitting projects. 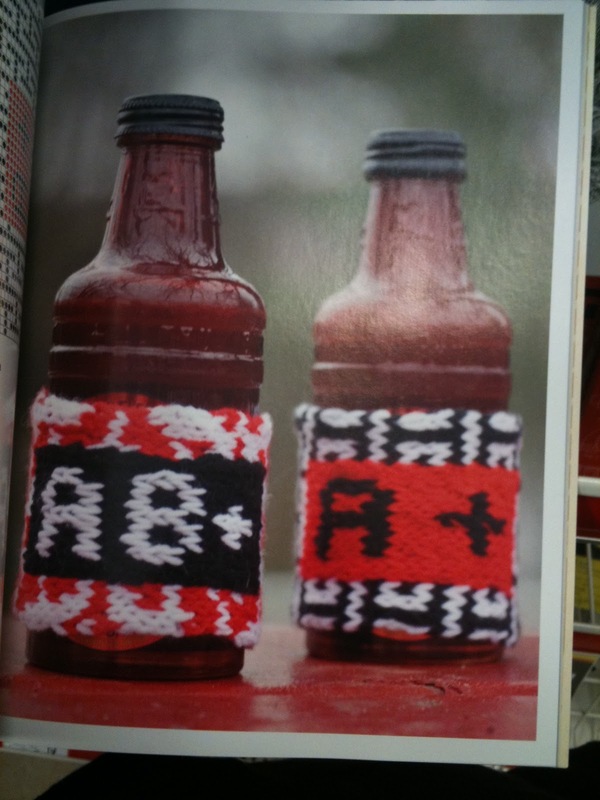 I continued my morally superior tittering while flipping through the patterns. The book is filled with projects with titles such as "The Prim Reaper's Corset" and "Sidhe Shrug." Because of these, I knew my snap judgement to scorn the book was justified. That was until I started actually looking at the products. It hit me; a good number of the projects are clever and cute. 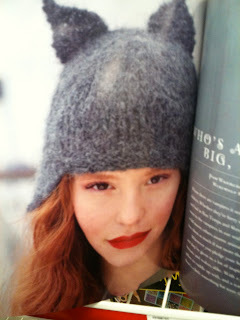 If I could get away with it, I would wear the Werewolf knit hat. 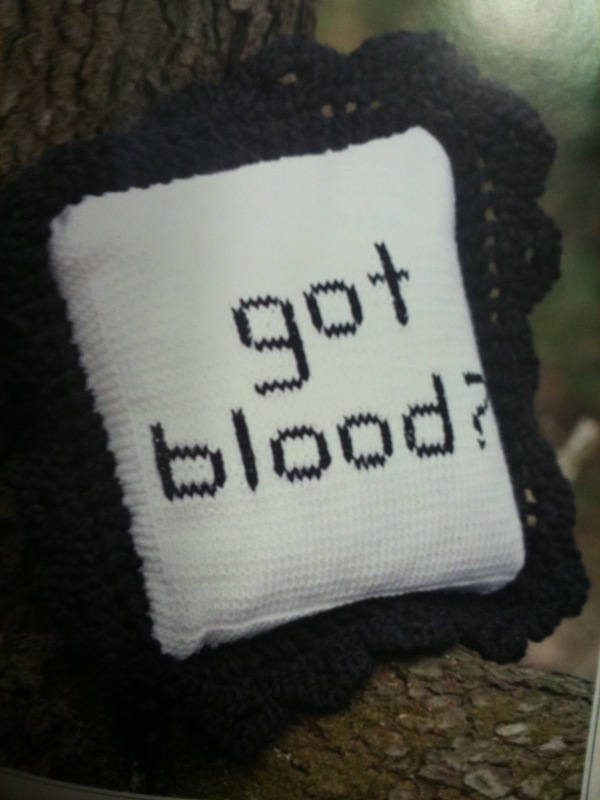 I'd also love to toss the Got Blood pillow on my bed if I ever put more effort in to making it than throwing the comforter on top in a haphazard fashion. The Tourniquet Scarf, too, would be a great winter accessory. I have no clue how easy the patterns are to master and if the directions are well written. I'll leave that judgment up to the 4.3 stars out 5 average score generated by 26 reviews on Amazon. 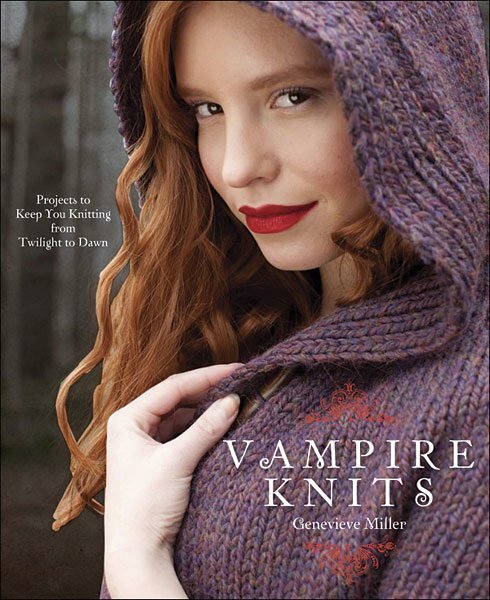 The site's selling "Vampire Knits" for only $11.58 so I'd suggest checking it out if you're looking for a new craft project. 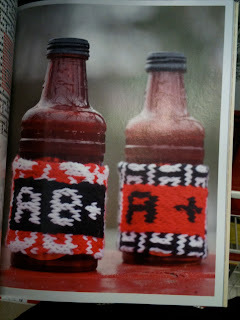 PS, did I mention the Blood Type Bottle Cozies? I'm still torn on that one. 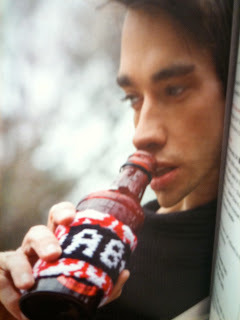 I waver between eye rolling and trying to figure out an excuse where I could legitimately pull the cozie out to use in public.